Closed in 1969, the Victorian repair and maintenance workshops for the Dinorwig slate quarry at Llanberis are now preserved as National Slate Museum. 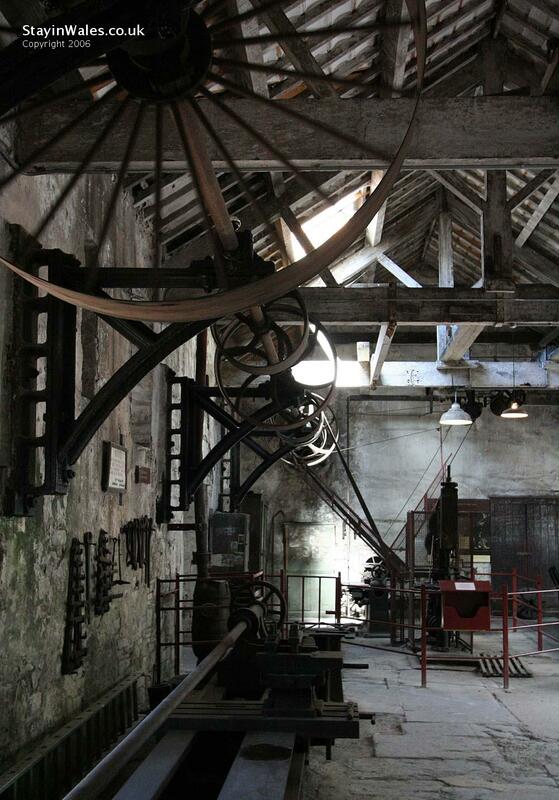 The lathe room is powered, as are all the other machine rooms in the works, by a complex system of belts and pulleys connected to the giant waterwheel. Amazing what can be done when electricity is not on tap!